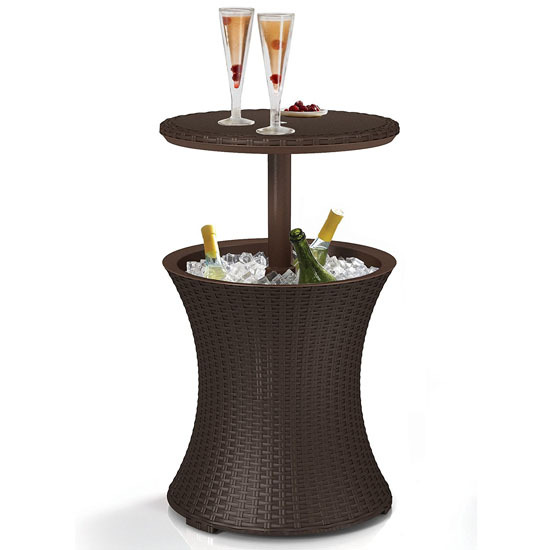 Entertain your guests when you have a pool party and Keter 7.5-Gal Cool Bar Rattan Style Outdoor Patio Pool Cooler Table makes your task easier. 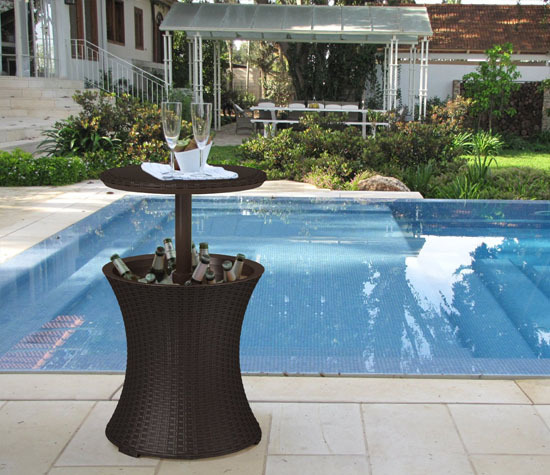 Keter cool bar is a rattan cocktail and coffee table in one, it’s perfect for outdoor entertainment such as pool party, barbeque party, or just a relaxing day with chilled drinks next to you. This is an ideal summer party accessory, it keeps your drinks cold for hours inside its 7.5-gal cooler. 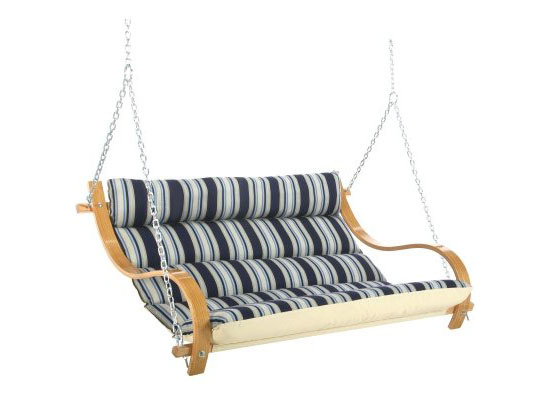 Enjoying outdoor with Air Porch Swing Hammock would be relaxing, you can place it near the pool or in your garden, the shade would protect you from the heat of the sun. 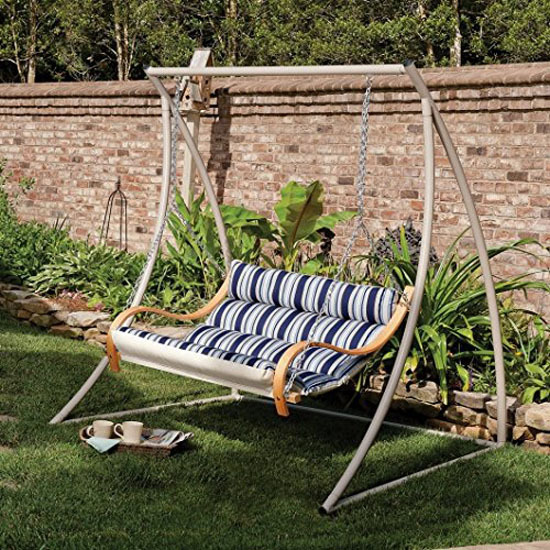 This swing hammock comes with arch stand, making it look cool anywhere you put it. 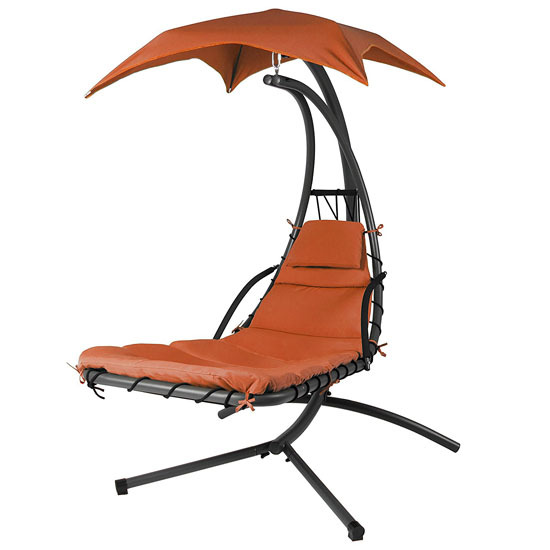 Laying outside would feel so relaxing, even though this lounge chair comes in affordable price, the manufacturer uses only premium materials to produce high quality hanging lounger. 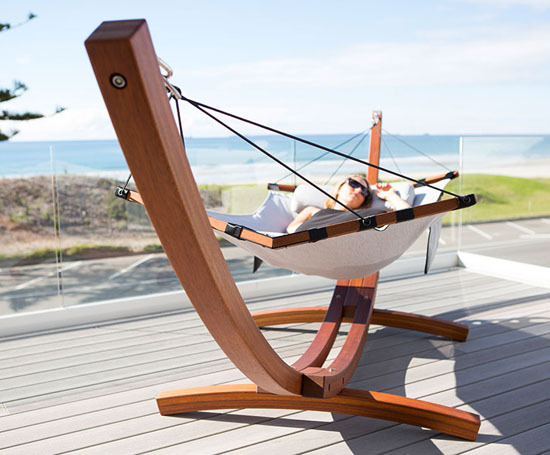 It’s a hanging lounger that provides you with comfort and relaxation. 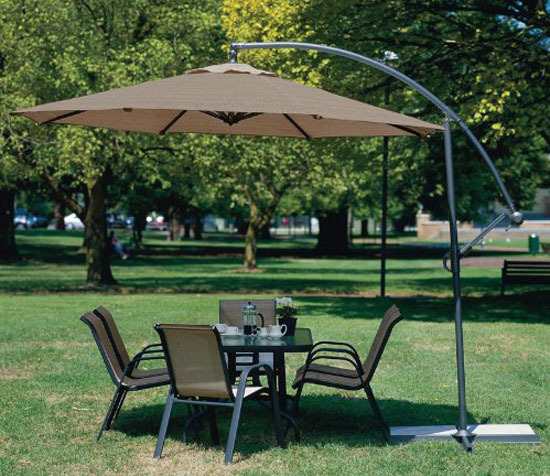 Enjoy outdoor environment without having to worry too much about the heat of the sun, 10 Feet Cantilever Freestanding Patio Umbrella provides decent shade to protect you. 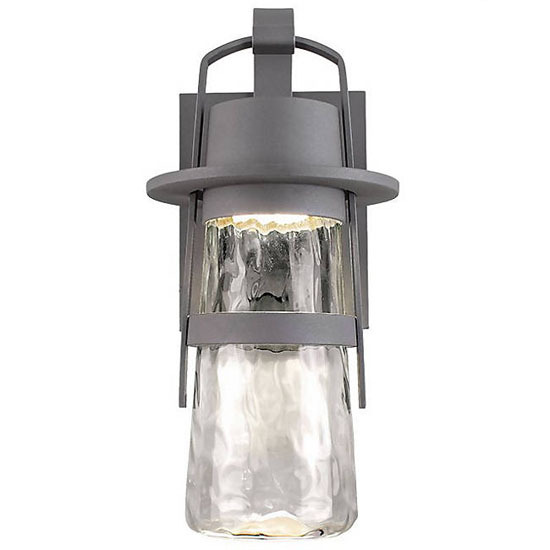 This patio umbrella features 180g water-proof polyester, heavy duty fabric, the thick aluminum pole has 2-inch diameter and 7’ height, and steel bottom frame with anodized finish. Thanks to that special fabric, this umbrella is capable to keep you cool and comfortable compared to a traditional one. Even on a hot day, you can still enjoy outdoors, you can also easily carry this unit wherever you want to go. Simply pop open and ground stakes for extra stability. This umbrella is also available at Amazon. 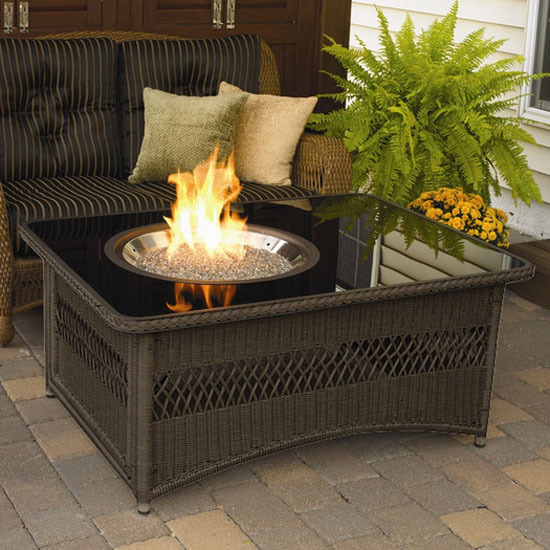 Gather around Naples Coffee Table with Fire Pit with your friends and family, enjoy a cozy and warm environment. This unique coffee table is a must have when you own a country cottage style home. 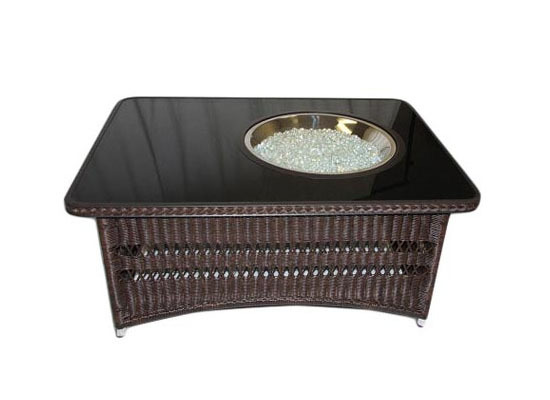 The combination of a fire pit and coffee table makes it perfect for backyard, patio, or poolside table, thanks to outdoor rated resin wicker base and rust-resistance aluminum frame, this table would look great in any weather. Nuvist has released its latest concept, Zaliva. 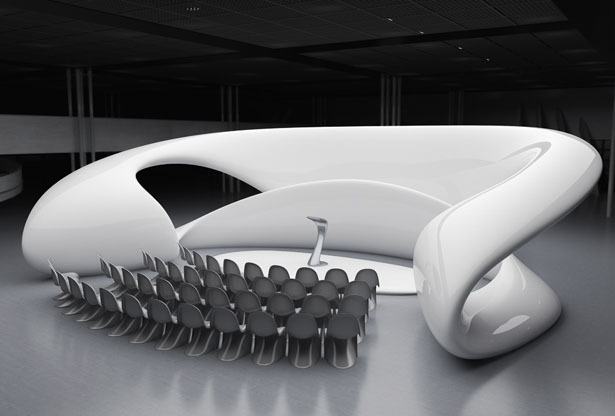 This is a multifunctional structure that creates isolation area or an attraction point in an exhibition, a conference, a park, or any other important events. 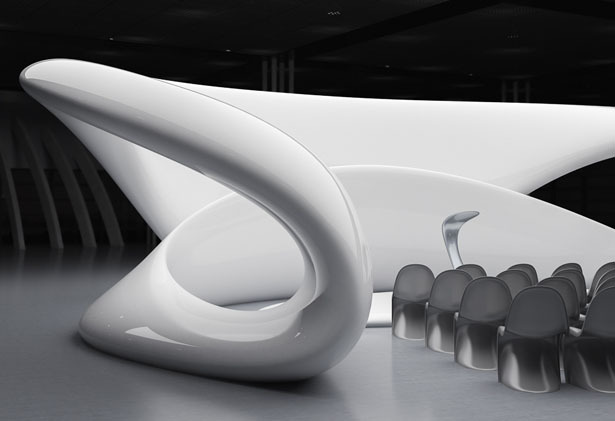 The structure design features soft curves, fluid lines, which are captured in continuous form. It creates a private area for a conference, small gathering that would catch people attention. It’s perfect for presentation events that blend nicely with contemporary interior and exterior spaces. 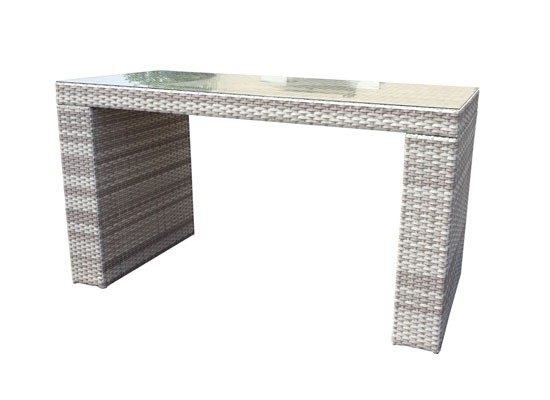 Looking for an outdoor bar table furniture? Well, this New Haven Bar Table Set features contemporary, modern design that would fit as an outdoor dining furniture. 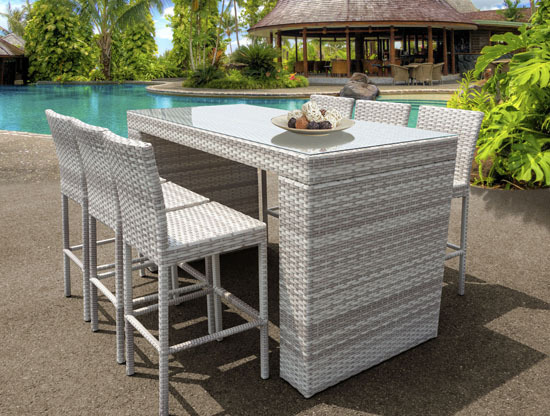 This set features 7-piece wicker furniture, a dining table and 6 chairs for your family and guests. The table is topped with tempered glass, making it look pretty elegant while those bar stools can be stored neatly under the table. 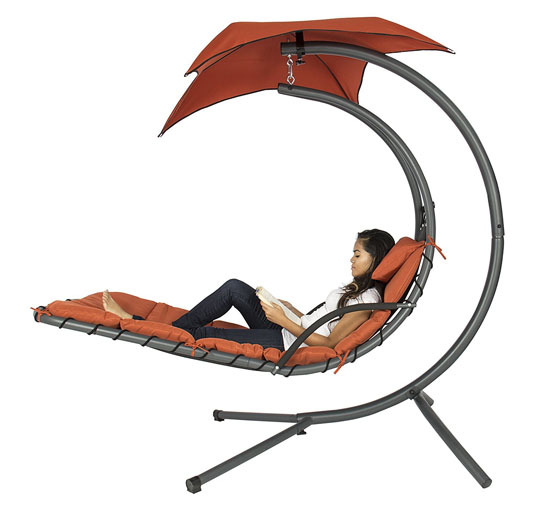 Have you been looking for the perfect hammock with stand? 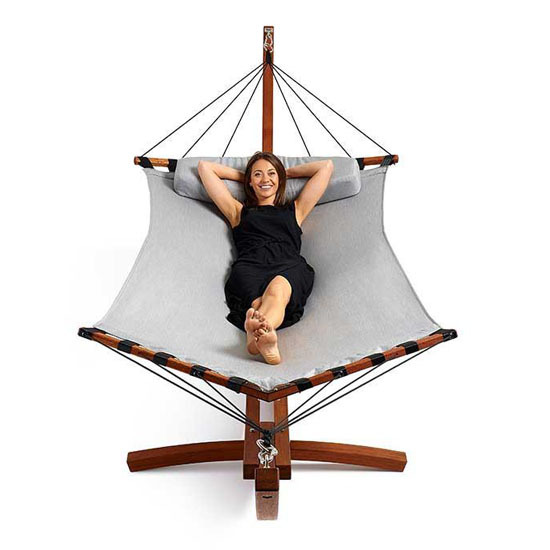 Lujo Freestanding Hammock allows you to enjoy outdoor without having to find the right trees with perfect distance. 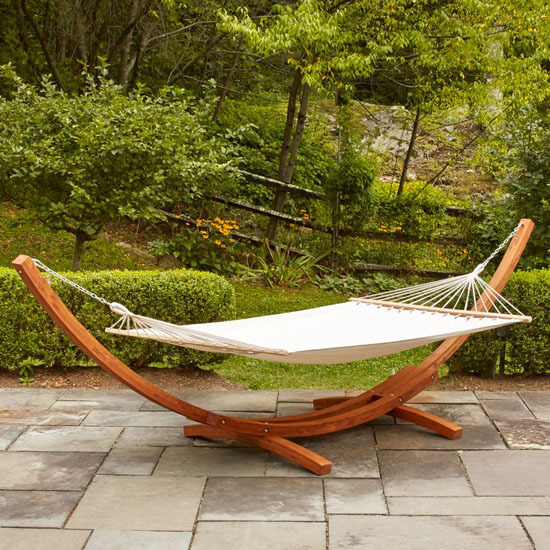 This stunning portable hammock comes with stand set that you can move from one area to another, such as from your garden to the pool area, or under the shade of a tree. 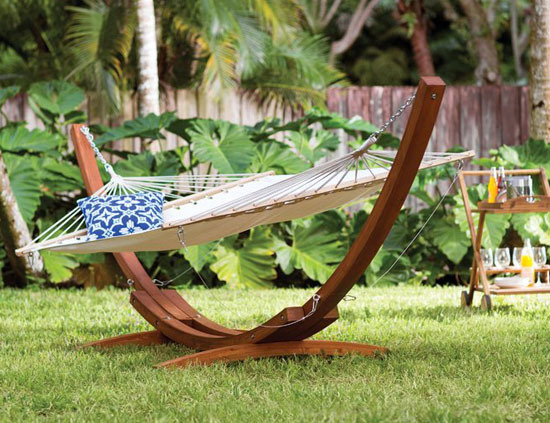 Each hammock is hand-crafted in New Zealand using Sunbrella marine fabrics and durable kwila hardwood for the stand. We know, it’s not easy to find good looking modern hammock, this one certainly meets our criteria of high quality and visually appealing hammock that we can enjoy almost anywhere. Each hammock comes with comfortable foam head pillow, the wide size of double hammock can accommodate two person, you can enjoy relaxing time with your loved one. 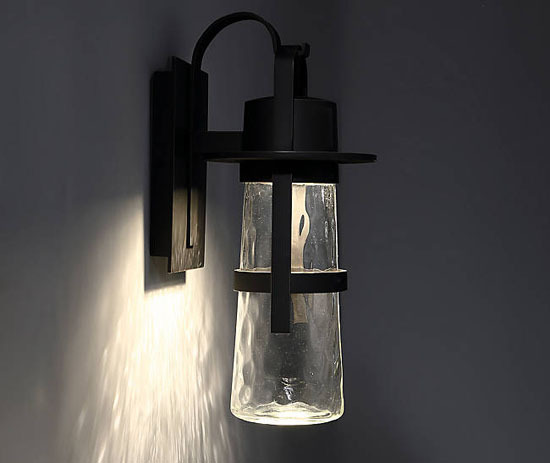 Available for $2,590.00, you can also purchase additional accessories such as attachable side pockets to keep your water bottle and other stuff, or attachable Bluetooth speaker to stream your favorite music from the phone.